Thanks to Adria Saracino for today’s guest post on Big Data. She’s going to help us understand how to use the overload of information to our advantage. Big data creates value across multiple sectors, increasing productivity, providing transparency of information, and improving personalization, according to the McKinsey Global Institute. While the exact direction big data will take may remain uncertain, one thing at least is clear: Businesses that fail to capitalize on what it has to offer will lag behind competitors who do make use of data. After all, data represents one of the most important assets a business has. If you choose not to use it, you will miss an opportunity that will leave competitors with the advantage in everything from forecasting, leaner expenditures, and product development. Below, we take a look at three ways your business can make the most of the big data revolution. Big data allows businesses to customize their customer service and user experiences like never before. In fact, customers now expect this level of personalization and may look elsewhere if they do not receive it. With such fierce competition, companies need to lean on this information to create the experiences their customers expect. Monitor how often a visitor views your site and point them to what’s new since their last visit. Solicit input from your customers via product reviews and polls. Allow visitors to track their orders without having to make a phone call. Make product or service recommendations based on previous shopping and browsing behavior. Store customer information to make the checkout process more efficient. Provide personalized content (ads, emails, social media posts) based on customer profiles. Data provides an unparalleled opportunity to both know your customer and to leverage what you know into a better, more highly personalized customer experience. Wouldn’t it be nice if, before you put all that time and effort into rolling out a new product or service, you could know how it will be received? With big data, you can. Put simply, data allows you to make predictions about how a product will be received based on past behavior. A recent example of a company doing just that is Netflix, which has been in the news lately, because their series “House of Cards” was a huge success. And Netflix knew it would be before the series was even filmed. How? Because Netflix used customer data to make predictions about whether or not customers would be interested in the series based on several attributes: The past popularity of the show’s leading actors, director, genre, and content. However, you needn’t be a powerhouse like Netflix to enlist big data to help you make smarter predictions. Even more modest companies have the ability to use big data analytics to make smart predictions. Use past response rates to predict when customers are the most engaged. Give customers more of what they like based on what they previously liked. Figure out how much of something (product, staffing, etc.) you will need based on past needs. Smarter predictions can lead to greater successes and less loss of time and resources—both of which benefit your bottom line. But providing customers with content, information, and products they love will add value to your business by creating loyal customers and brand evangelists. No business likes to see customers leave. The only thing more frustrating than having customers leave, is not understanding why they’re leaving. Data can help predict which customers are likely to leave and allow you to intervene before they do. Consider the impressive case of the Mobile, Alabama public school district: Mobile had long struggled with high dropout rates and low-graduation rates. Luckily, by 2008, Mobile had a data-driven superintendent who was determined to increase graduation rates. The school system began to identify triggers that appeared in a student’s profile before he or she dropped out. These included suspensions, long absences, and domestic changes at home. The school labeled these as “early warning signs” and generated reports to identify students exhibiting these signs. This allowed teachers and staff to effectively intervene before a student dropped out. These insights helped cut the dropout rate and ensure more students continued high school. While students aren’t paying customers, the case study mentioned above highlights the value that big data provides when it allows organizations to effectively predict who might be leaving. Whether you work with students, patients, or online customers. Identify which actions signal a customer is leaving your business. Reach out to customers who show warning signs and offer them incentive to stay. Identify the tactics and circumstances that have been successful in bringing customers back. While businesses wish all customers would turn into loyal consumers and brand evangelists, churn rates remain a part of the market, even with the power of big data behind you. However, the extra insight this provides can help reduce your churn rates to a sustainable level. It’s not hard to see how insights can improve a business’ ability to optimize customer experience, provide desired products, and retain customers. From improving user experience to allowing your business to run more efficiently, big data is a serious source of value for your business, and one that should not be underestimated. 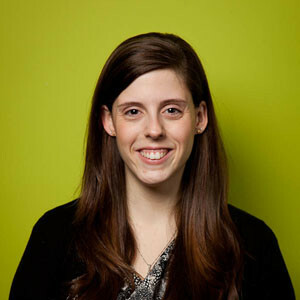 Adria Saracino is the head of outreach at Distilled. When not consulting on PR and content strategy, you can find her writing about style on her personal fashion blog, The Emerald Closet. You can follow her on Twitter @adriasaracino.